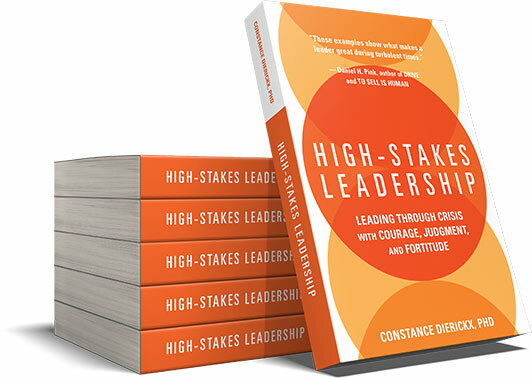 Constance Dierickx illustrates High-Stakes Leadership with stories of leaders who exemplify her key leadership qualities of courage, judgment, and fortitude. I’d add another quality to this list: Her leaders show a degree of grace that is uncommon in the business world. These examples, backed by research, show what makes a great leader during turbulent times. Why are some leaders in high-stakes and crisis highly effective while others disappoint and some utterly fail? What is the difference? Why are some able to not only survive but thrive, even in tumult? High-stakes leadership does not require superhuman talent or unnatural powers. Indeed, failure to understand normal, human limitations is antithetical to good leadership under any circumstance. Alan Weiss, author of Million Dollar Consulting, Lifestorming (with Marshall Goldsmith), and over 60 other books. The elements of high-stakes leadership enable leaders to perform well in a crisis. They also stand any leader, in any situation, in good stead. These qualities can be strengthened, taught and honed in those who have a thirst to learn. This book shows how to use the lessons from research and practice to become a high-stakes leader. In so doing, leaders will realize just how high the stakes really are, even when they are in calm waters, perhaps the highest-stake belief of all. Constance Dierickx was a college dropout when she joined Merrill Lynch as a stockbroker. Over several years she observed irrational decision-making, extreme overconfidence and a drive for short-term gain in both her clients and colleagues. Her curiosity about this led her to study psychology and decision-making. After finishing her PhD in clinical psychology, where she focused on crisis intervention with individuals and organizations, she turned to consulting. She has worked with organizations in over 20 countries on six continents in an array of industries. 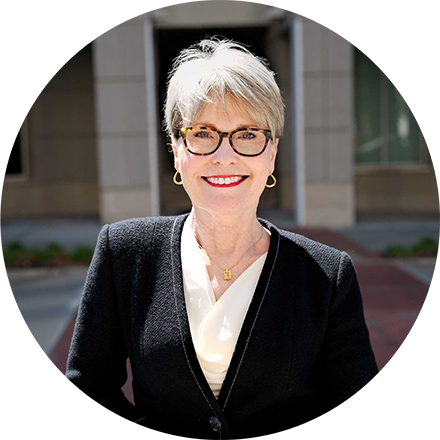 Companies she has worked with include: AT&T, Boys and Girls Clubs of America, IBM, Johnson Controls, NextGear Capital, Reckitt-Benckiser, Schnabel Engineering and Westinghouse. Her merger and acquisition clients succeed 400% more often than the average. Receive instant access to a special video series focused on leadership in high-stakes crisis as well as in mergers and acquisitions. 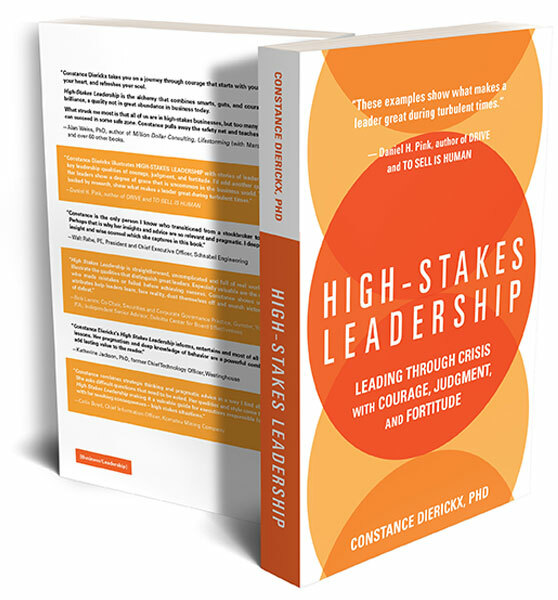 Redeem your free bonus when you purchase your copy of High-Stakes Leadership here.